With over 20 years as an artist, naturalist and author, Carel Pieter Brest van Kempen's artistic mission has always been to deepen awareness of the natural world and how it functions. His work has been exhibited worldwide in such venues as The Smithsonian, The British Museum and The National Museum of Taiwan. He has been named one of 100 “Most Honored Artists of Utah” by the Springville Art Museum (2002) and one of 14 “Master Signature Members” of the Society of Animal Artists (2008). 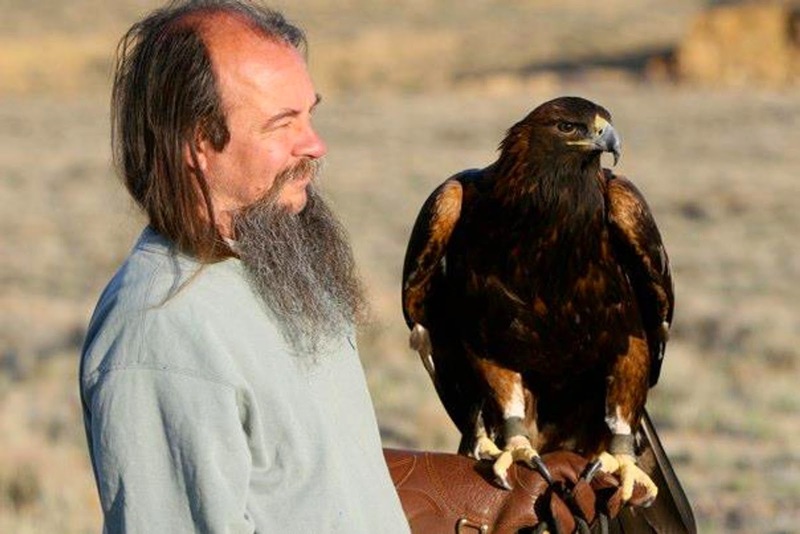 He has illustrated over a dozen books, including Dinosaurs of Utah (1998), Biology of the Gila Monsters and Beaded Lizards (2005), Biology of the Boas and Pythons (2007), Urban Herpetology (2008), and Conservation of Mesoamerican Amphibians and Reptiles (2010) and authored the popular coffee-table book, Rigor Vitae: Life Unyielding (2006). 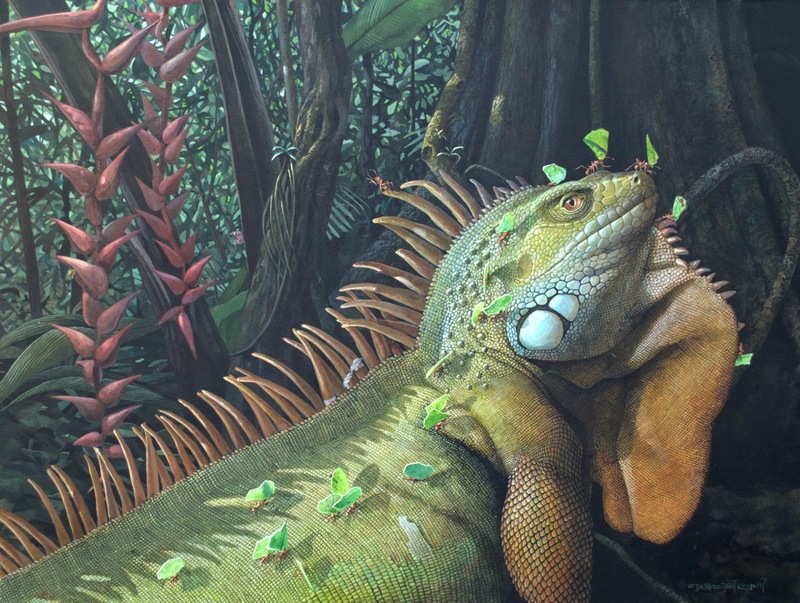 In addition to painting, he actively writes and blogs about natural history and conservation themes. Since wildlife is central to the imagery of Carel Pieter Brest van Kempen, he is generally thought of as a “wildlife artist.” But this is not how I think of him, nor how I think he should be remembered. I think of Carel Pieter Brest van Kempen as a wildlife artist with imagination. 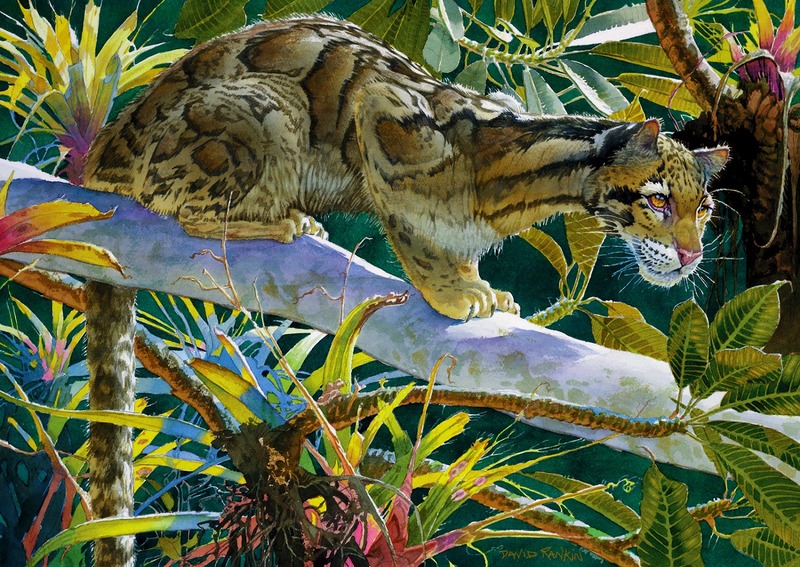 In the world of wildlife art, this is no small distinction. Because most wildlife artists aspire to faithfully render nature into art, they suffer from a corollary that is equally false: in order to render nature into art, a painter must paint every minute detail to perfection. For many wildlife artists today, this is pursued through heavy reliance on reference photography. While it is impossible, as Gombrich said, to render nature into art, it is possible to construct a relational model through whatever style an artist chooses. Like many of his colleagues, Carel Pieter Brest van Kempen chooses to paint in a detailed, representational style, but that’s where the similarity ends. Because Brest van Kempen is a thinker at heart, he begins his creative process where he should, at the beginning, by using his imagination to conceptualize a painting before he ever puts pencil to paper. To transform his concept into composition and design, he works his ideas out through preliminary sketches. After he is satisfied with his concept and design, only then does he embark on the final painting. Throughout the process, Brest van Kempen employs a rich vocabulary of principles, to arrange elements in ways that give him his own distinctive, individual style. In composition and design, elements (e.g., color, value, line, texture, shape, and space) are like building blocks, while principles (e.g., balance, dominance, economy, emphasis, variety, gradation, movement, harmony, rhythm, proportion, space, variety) are like tools that artists use to assemble elements. Whereas the number of elements and principles in art is constant, the number of ways to combine them is infinite. This is important because it permits individual painters to express themselves in their own style. Brest van Kempen typically achieves his style by emphasizing elements such as line, color, space, and point of view. Brest van Kempen’s reaction to the world around him, rather than a desire to faithfully render nature into art, and his ability to embody his imaginative concepts through well-honed technique, are hallmarks of his paintings. Whereas these hallmarks are a giveaway for personality characteristics such as an unquenchable imagination and an insatiable need to know and understand nature, the degree to which Brest van Kempen relies on sheer talent versus tenacious hard work, is less clear. His art seems so effortless, but its richness and depth makes one wonder just how effortless it is. In addition to imagination, there is something else about his paintings that elevates them a cut above the rest. What could that be? I think it is the pure and simple joy that comes from relishing the work that he does as an imaginative wildlife artist. In each of his paintings, there is an undercurrent of joy. Often this can be seen in the subjects he selects. Brest van Kempen’s subjects do not often include cliché glamour species like those painted ad infinitum by other artists; rather, they comprise under-represented species which give real meaning to the term, biodiversity. To make my point, here are but a few titles from Brest van Kempen exhibitions that I have had the privilege to curate: Bat Falcon & Golden Free-tailed Bat, Meller’s Chameleon & Leaf-toed Gecko, Gripping Tail__Yellow Baboon & White-Throated Monitor, Hippopotamus & Nile Softshell Turtles, Manned Wolves & Three-banded Armadillo, Reticulated Python and Masked Finfoot, and his masterful triptych, Convoy Through the Canopy__de Brazza’s Monkeys. Such titles would make any wildlife art aficionado smile. They also underscore my point, which is, no other wildlife artist that I know, consistently takes the kinds of creative risks that Brest van Kempen takes in his selection of subjects and activities. Another manifestation of joy in the paintings of Brest van Kempen is the relationship in which he places the viewer to his subjects, or, in other words, perspective. 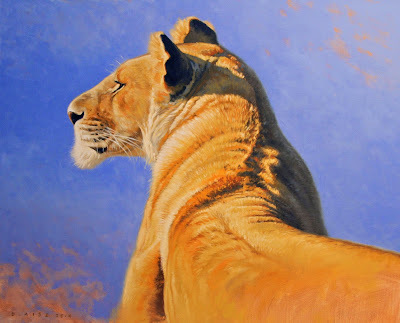 I can think of no wildlife artist who has produced a body of work that consistently affords viewers with richer perspectives than Carel Pieter Brest van Kempen. His creative and engaging perspective is yet another hallmark of his unique style. Brest van Kempen’s perspective, combined with his virtuosic technique and tantalizing imagination, give his paintings a richness and depth that is rare in the world of wildlife art. For aestheticians or art historians like me, these characteristics are critical for assessing art. Depth, after all, is what keeps viewers coming back and interested in more. Richness and depth are the secrets to great art. They are what makes art endure. It is a pleasure to work with an artist the caliber of Carel Pieter Brest van Kempen and to serve as Curator/Tour Director of his exhibition, BIODIVERSITY IN WILDLIFE ART. PAINTINGS BY CAREL PIETER BREST van KEMPEN have been and continue to be enjoyed at important venues nationwide, among them, The Wildling Art Museum in Santa Barbara, The Wildlife Experience in Denver, and The Arizona-Sonora Desert Museum in Tucson. Carel Pieter Brest van Kempen lives and works in Salt Lake City. 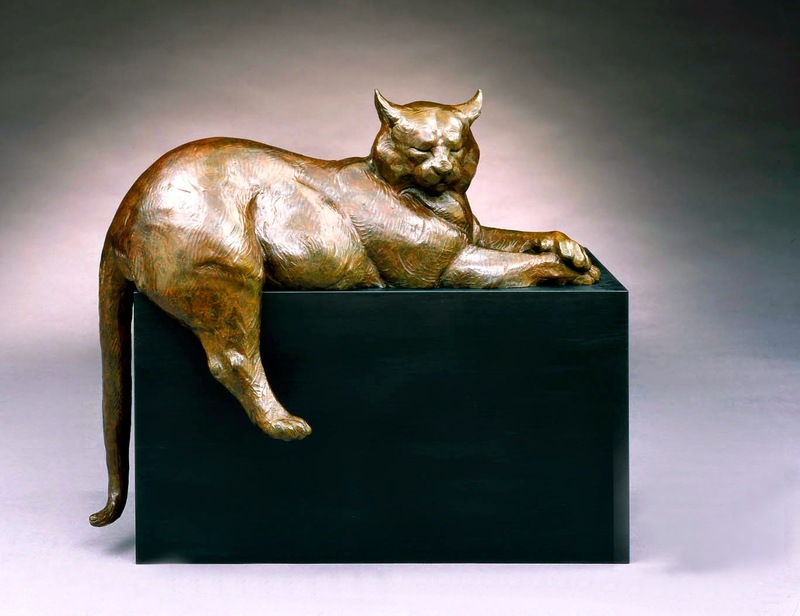 He is a member of the Society of Animal Artists, and was a nine-time recipient of its highest honor, the Award of Excellence, in 1994, 1996, 1997, 2004, 2006, 2010, 2011, 2012, and 2014. Other information about the artist and his art and ideas can be found on his website, cpbrestvankempen.com or his blog, rigorvitae.blogspot.com. REFERENCE: E.H. Gombrich, Art and Illusion, A Study in the Psychology of Pictorial Representation, Princeton University Press, 1960. With David J. Wagner’s handsome and voluminous American Wildlife Art (Marquand Books, Seattle), millions of people around the world can now cheer, for wildlife art has a new towering champion. But first consider what, on the surface, appears to be a rather strange and formidable contradiction: Forever, or at least for as long as we have been a species and even in the dimmer twilight before Homo sapiens walked distinctly on our own, we have lived side by side with wild animals. In turn, as an act of veneration, remembrance and humility, “wildlife art” has existed on our walls and shelves in the dwellings we inhabit, from caves to fireplace mantels in modern 21st century McMansions. Wildlife has been our sustenance, our stalkers, our companions, and our bellweathers for gauging the health of the environment around us. Our relationship with wildlife is age-old and yet, only relatively recently, has the art which celebrates animals and our own place in nature, achieved formal recognition as its own valid subject matter. unabated. And yet in this whale of a book Wagner presents the strongest case yet for why animal imagery commands not only contemporary relevance for OUR time, but as fine art, scientific documentation, popular decoration for the masses, and yes, as icons, corporate logos, sports team mascots, and political expressions, it is THE genre that perhaps most transcends social classes, national identity, age, religion and province. As someone who has written about wildlife in art for a quarter century, I am left daunted by the depth of Wagner’s scope. 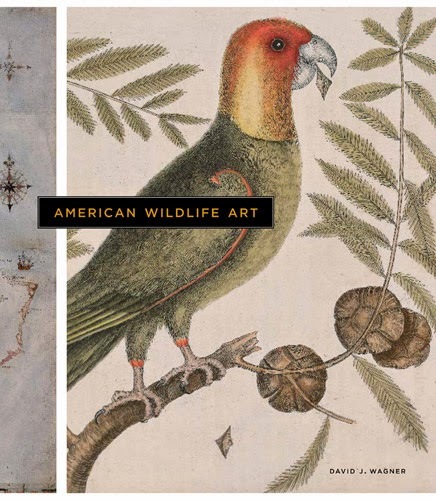 This book establishes the author as the foremost authority on wildlife art in the Western Hemisphere and his credentials were not earned overnight. 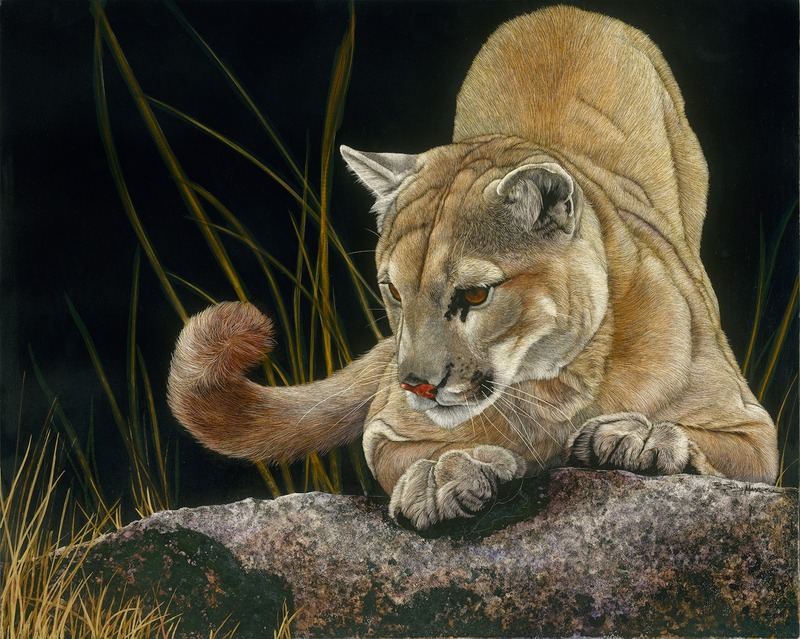 “David Wagner is the number one intellectual in wildlife art, certainly in America, maybe in the world,” proclaims Canadian painter Robert Bateman, who himself is the best-known contemporary wildlife artist on the planet with millions of his reproduced wildlife art paintings in circulation around the globe. 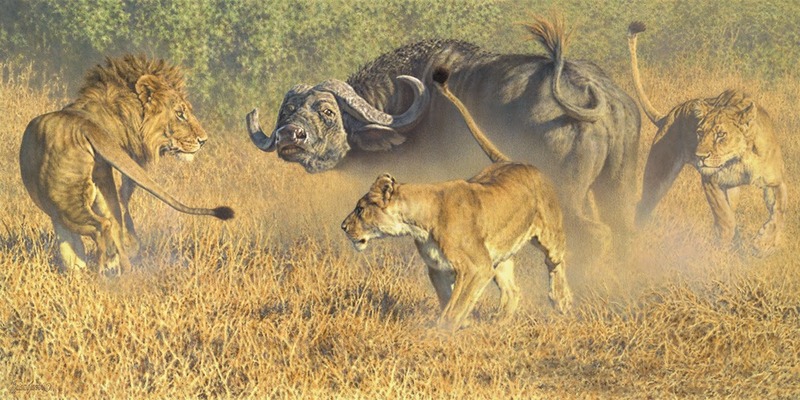 Simply put, the seven-pound American Wildlife Art is unprecedented as a work of academic study. But more than that, for a general audience, it is an entertaining journey that should sit on living room coffee tables and have a spot in university and family libraries as THE definitive resource. Not merely does Wagner impressively impart the history of wild animal art in North America, but also as an art book, it is, in its own way, a work of art filled with dazzling examples of the finest paintings and sculpture ever portrayed of wildlife on this continent. What makes American Wildlife Art noteworthy, though, is that as an art historian, Wagner refrains from academic platitudes and he does not pander. Rather than causing reader’s eye to glaze over, he asks us to widen our vision. The arc of his half-millennia story and the art he chooses to feature is immediately familiar. Why? Because wildlife is engrained in the identity of North Americans in a uniquely North American way. One does not need a highbrow interpreter. A grade-schooler could peruse these 424 pages and become inspired to pursue a career in art or field biology. A college student could find endless fodder for term papers. A professor would find a term’s worth of lectures. 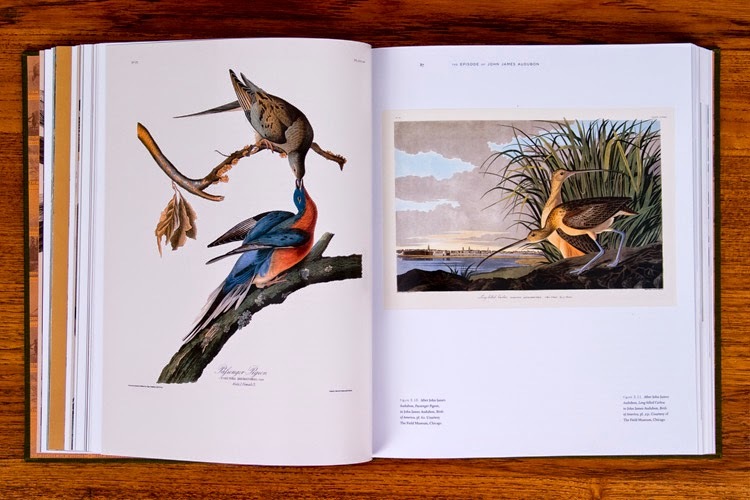 A birder (beginning with the cover jacket image of a Carolina parrot by frontier painter Mark Catesby) will feel a kindredness to the high tradition of commemorating avifauna in the New World. A hunter or angler who collects Duck Stamps and wooden decoys will flit through the pages and gain more confirming insight into the role that wildlife art has played in conservation. A businesswoman, who has chosen to decorate her corporate board room with an original painting or bronze, will better understand why, for the discriminating collector, wildlife art can provide a compelling, enjoyable escape to the daily grind at the office and also be a shrewd investment (if recent auction records are any indication). American Wildlife Art, at $75, is a good investment. For a long time, the (primarily) Eastern art establishment has dismissed wildlife art and its practitioners as crude, undeveloped, and prosaic—unworthy of comparison to other art movements and the masters who spawned them. Critics demean wildlife art as little more than superficial documentation, though an exception is always unexplainably granted if a master from another genre, say, chooses to insert an animal image into a scene or motif as allegory. But here’s the real gist of the paradox: Does the fact that artists like Constantin Brancusi, Pablo Picasso, and Andy Warhol chose to feature animals in their work substantiate the premise of critics or undermine it? Wagner answers the casters of aspersions with evidence to the latter. 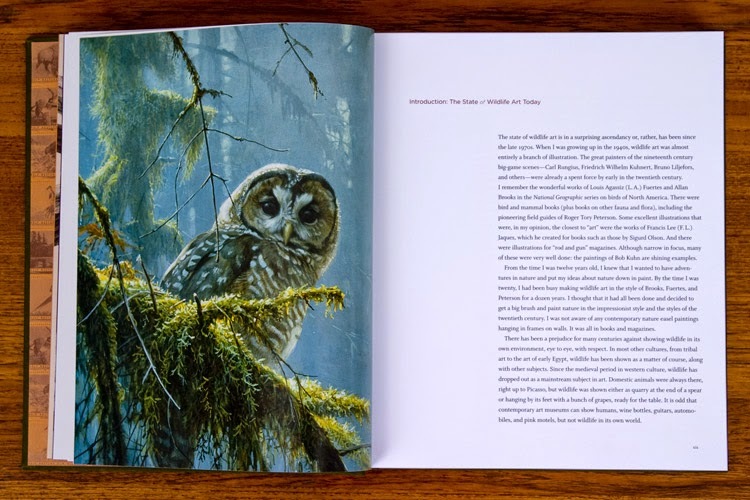 Ironically, given the title of the book, he sets out to erase the artificial boundaries between wildlife art and fine art. As a foil, he invokes the story of Carl Rungius. The German-born painter who spent his most productive years in Canada’s Banff National Park also explored Wyoming’s Wind River Mountains early in his career and won acclaim as a landscape painter. Around the turn of the 20th century, Rungius, who today is recognized the finest painter of North American big game animals scenes, came under criticism for putting portraits of wildlife between the frame. Some claimed he was less of a painter as a result. 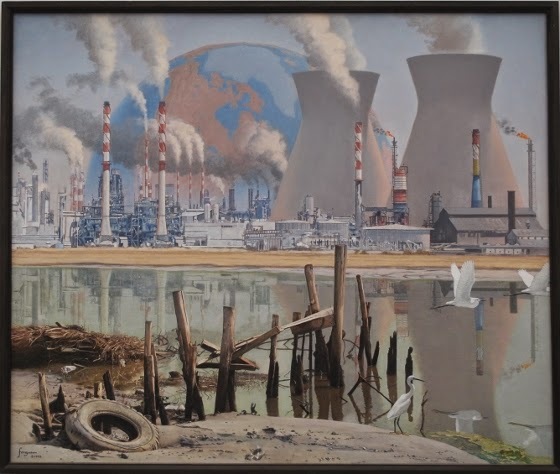 Rungius responded by painting a series of pure landscapes that were hailed for their technical virtuosity and won him academician status with the vaunted National Academy of Design. The triumph proved that it is not subject matter that makes the painter, but the painter who chooses to apply his skill to whatever line of visual reference point he or she sees fit. Wildlife, as subject matter, has indeed entered into the esteemed portfolios of the ancients as well as those avant- gardists pushing the cutting edge and who intend to provoke a response from a numbed, perpetually distracted urban society. If one has an open mind, as Wagner suggests is necessary, a person will find that works featuring animals are hung in the Louvre, the Prada, and the Hermitage (and any great American art museum), as well as, unsavory as it is to some, down at the local bait shop, café, and barber parlor in middle America. Millions of international tourists make pilgrimages every year to see wildlife in national parks or embark on photo safaris in Africa. Millions more crowd urban zoos. In his pop art, Warhol grasped the icnographic power of animals, but so, too, have U.S. presidents, European and Asian royalty, people who wear religious cloth, and marketing geniuses on Madison Avenue. 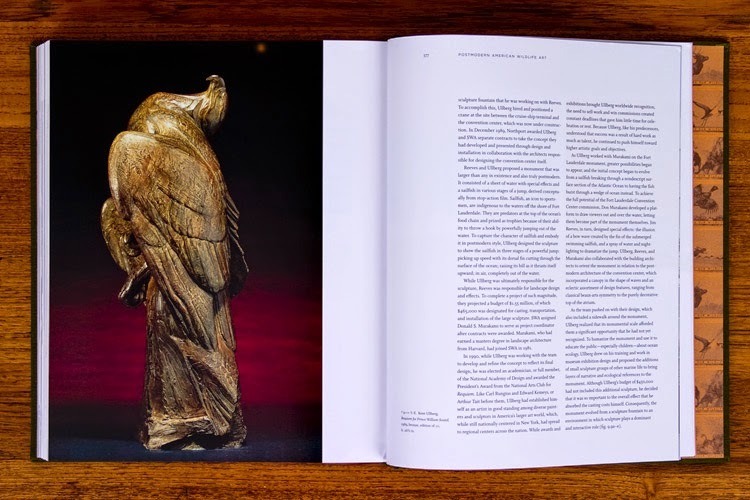 Along with his narrative portraits of Audubon, Rungius and Bateman, who is not only featured but makes his own written contribution to the book, Wagner offers a lengthy examination of Swedish-American sculptor Kent Ullberg who today is regarded as the foremost creator of wildlife monuments in the world. A bronze man who divides his time between Corpus Christi, Texas and Loveland, Colorado, Ullberg has works that can be found in public spaces on four continents and although he is notably a contemporary sculptor, his work follows within the classical tradition dating back to the ancient Greeks who held up art as a prominent, utilitarian focal point in daily life. Wagner will surely stand accused of being a wildlife art propagandist. However, he readily addresses what critics have called the schlock and kitsch element, as well as the capitalistic phenomenon of some artists pandering only to markets for commercial reasons and dubious profiteers attempting to hoodwink gullible collectors who approach hoarding of wildlife art reproductions the same way some financial investors court junk bonds. Art as an investment, after all, no matter who the creator, can be risky. Time and again, Wagner notes that the best reason to purchase a piece of art is because the individual likes it and wants to live with it. If I have two modest quibbles with this book, they can be summed up this way: First, I would have liked to see Wagner dig into Native American wildlife art, which wields its own influence and helps to set North American art in general apart from the “Old World.” Second, Wagner navigates through a minefield of not WHAT to include, but WHO to include, in contemporary terms. Surely, there will be some living artists with hurt egos who feel left out, which is impossible for the author to avoid when a book like this has to name names. One of the tools that Wagner uses for connoting inclusion is a list that emerged from a study he conducted as part of his exhaustive PhD dissertation at the University of Minnesota that forms the background for the book. Wagner surveyed artists, collectors and publishers. He asked artists, in particular, to identify colleagues or predecessors who had most influenced them. Here is the top 15 listed in order: 1. 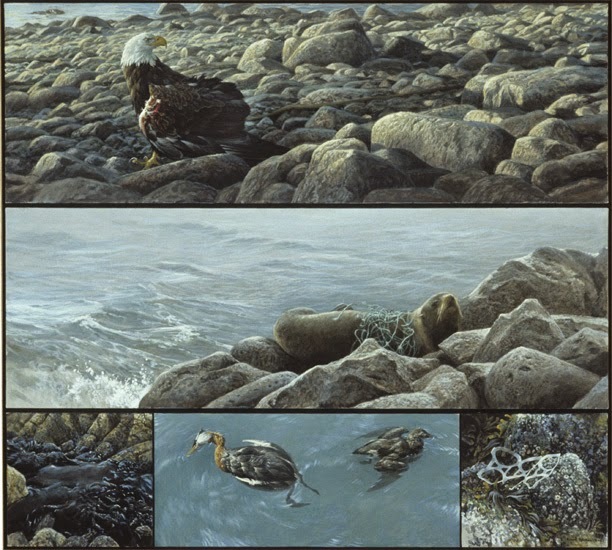 Robert Bateman; 2. Louis Agassiz Fuertes; 3. Carl Rungius; 4. Francis Lee Jacques; 5. Robert Kuhn; 6. Winslow Homer; 7. Andrew Wyeth; 8. N.C. Wyeth; 9. Roger Tory Peterson; 10. John James Audubon; 11. Lynn Bogue Hunt; 12. Maxfield Parrish; 13. Ogden Pleissner; 14. George Miksch Sutton; 15. Owen Gromme. It’s a notable list, but one that is sure to be seized upon by critics of wildlife art who say it only confirms that a complete fine art discernment is lacking in the perspective of contemporary painters. The late wildlife painter Bob Kuhn, for instance, was a graduate of the Pratt Institute who cited abstract expressionist Mark Rothko as an inspiration in his 60 years behind the easel. cornerstone of American Democracy and the halls of political power, Capitol Hill. In 2008, Congress passed an act, signed into law by the president, that formally recognizes the National Museum of Wildlife Art in Jackson Hole, Wyoming—an important reference point in Wagner’s book— as THE official wildlife art museum in the United States. The NMWA, a novel institution designed to exude the appearance of an ancient Southwest desert cliff dwelling, is an architectural wonder. For the same reason that artists like Audubon, Homer, N.C. Wyeth, Anna Hyatt Huntington, Edward Kemeys, Arthur Tait (who collaborated with Currier & Ives), Paul Wayland Bartlett, Frederic Remington, Albert Bierstadt, Thomas Moran, and Karl Bodmer, are considered national treasures whose works are worthy of exhibition at the National Gallery, they are equally esteemed when displayed at the NMWA. 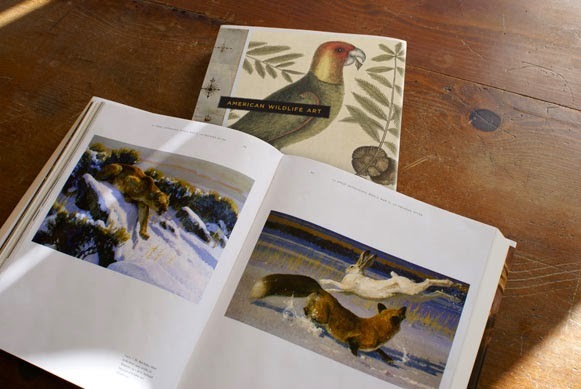 American Wildlife Art is today a featured book at the NMWA book store and has been adopted as a text at a number of colleges. It’s an academic way of saying wildlife art deserves a place at the table of discussion about American art history and its reflection of Western culture and society. For us in the 21st century, wildlife art does not assume a fleeting presence; it is an urgent modern totem. Sandy Scott received her formal art training at the Kansas City Art Institute and later worked as an animation background artist for the motion picture industry. She turned her attention to etchings and printmaking in the 1970’s and to sculpture in the 1980’s. 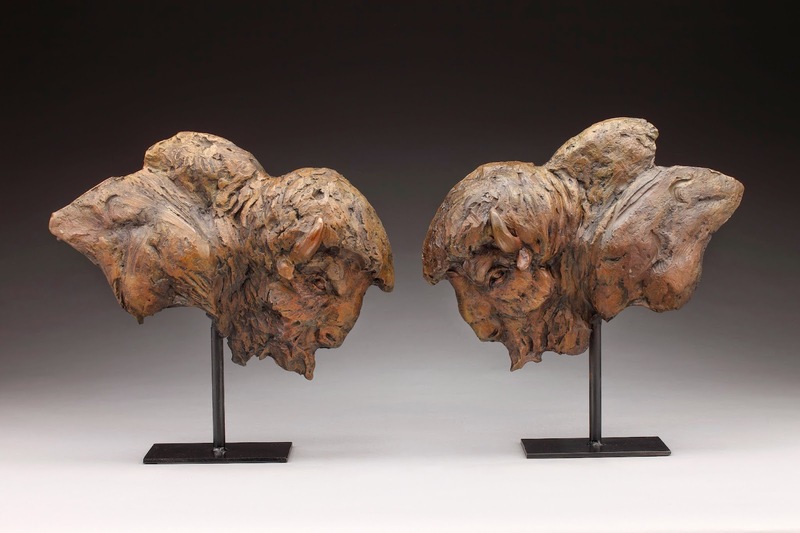 Born in Dubuque, Iowa in 1943 and raised in Tulsa, Oklahoma, she works today in Lander, Wyoming in a studio near the foundry that casts her bronzes. 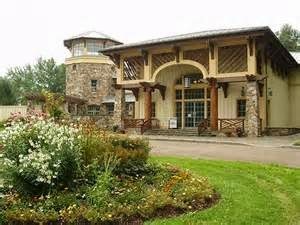 She also maintains studios on Lake of the Woods, Ontario, Canada, and in the mountains of northern Colorado. Sandy is an avid outdoorswoman who loves to hunt and fish. In Canada her friends Dave and Michelle Beaushane who own Nestor Falls Fly-In Outposts frequently fly her and Trish (her long time friend who manages the business end of things) to remote lakes and portages north of Kenora, Ontario. She has made 16 trips to Alaska and has been to Europe, Russia, China and South America to visit the world’s great museums. She believes that to be a good artist, artists must conduct field work to know their subjects and accurately present their subjects to the viewer. Her work is certainly authentic. She has experienced and lived what she depicts. A lifelong interest in aviation has been invaluable to her work as an artist. A licensed pilot for almost 50 years, Sandy says, “I believe my knowledge of aerodynamics has been helpful in achieving the illusion of movement in my bird sculptures.” Her knowledge of aerodynamics was particularly evident in Mallard Duet, a sold out sculpture that won the Ellen P. Speyer Award at the National Academy of Design in New York. This sculpture is in the permanent collection of Brookgreen Gardens and the National Museum of Wildlife Art. Sandy’s father raised and bred quarter horses and ranched in northeastern Oklahoma which instilled in her a love and knowledge of horses and animals. 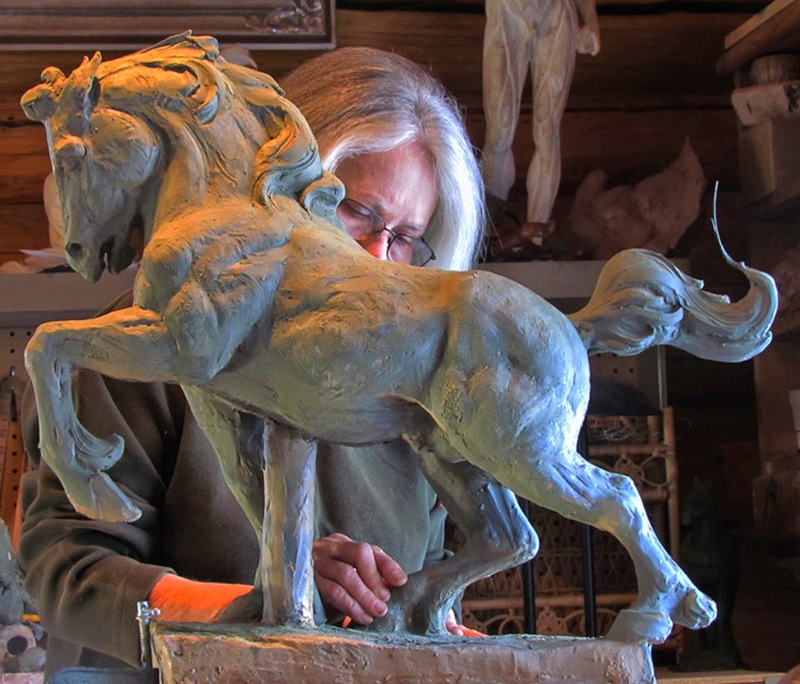 Sandy has a beautiful Morgan gelding that she used as a model for her powerful truncated equestrian sculpture entitled “Equus Found Fragments” which recently won the coveted Award of Excellence at the Society of Animal Artist Annual Exhibition. 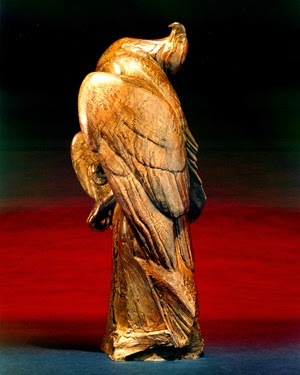 In 1998 the Gilcrease Museum honored her with a retrospective. At that time a book entitle Spirit of the Wild Things – The Art of Sandy Scott was published. 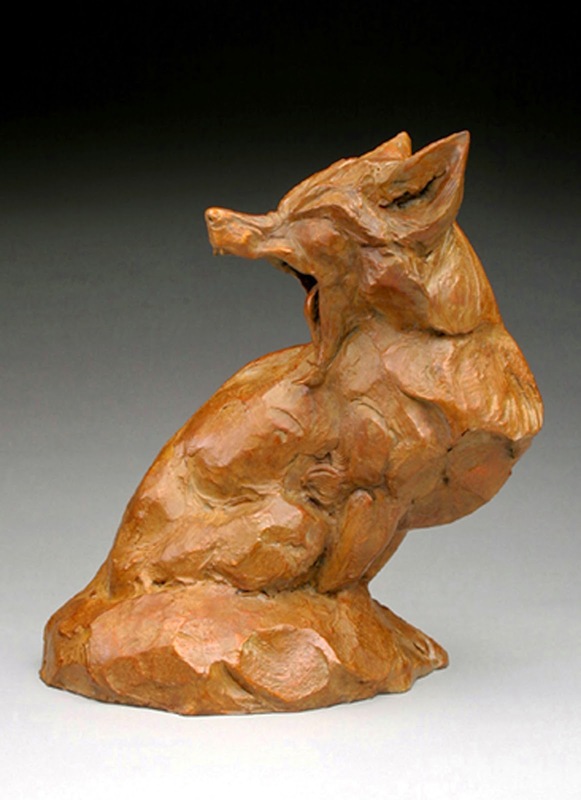 Her work was featured in the book titled The American Sporting Print – 20th Century Etchers and Drypointints by John T. Ordeman; and in the recently published book; The Red Fox in Art” by John Orrelle. 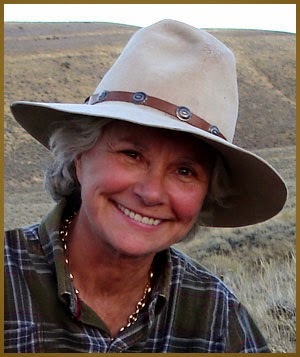 She has been featured in several magazine articles, including: Western Art Collector; Southwest Art, 10 Most Prominent 2012; Art of the West; and Persimmon Hill. 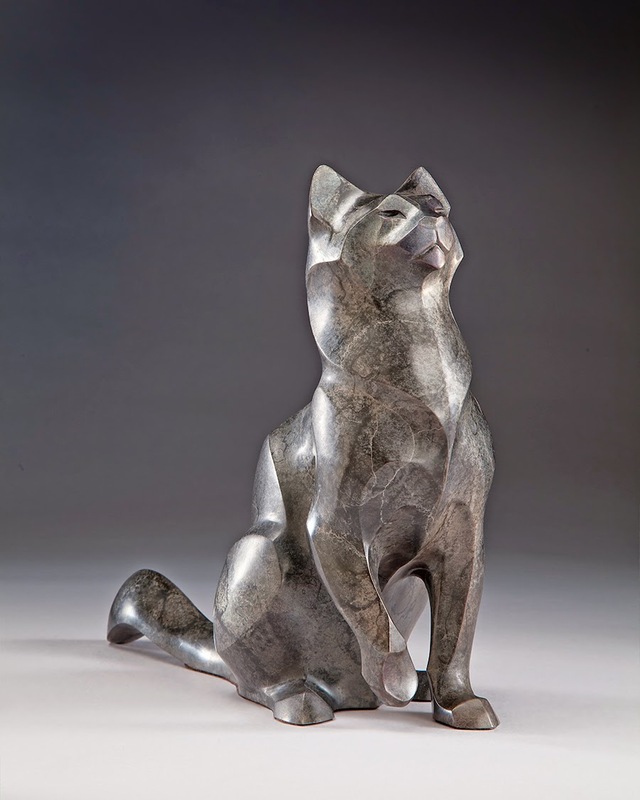 SANDY SCOTT: A RETROSPECTIVE will premiere at prestigious Brookgreen Gardens, in January, 2016. Serving as Curator/Tour Director is David J. Wagner, Ph.D. 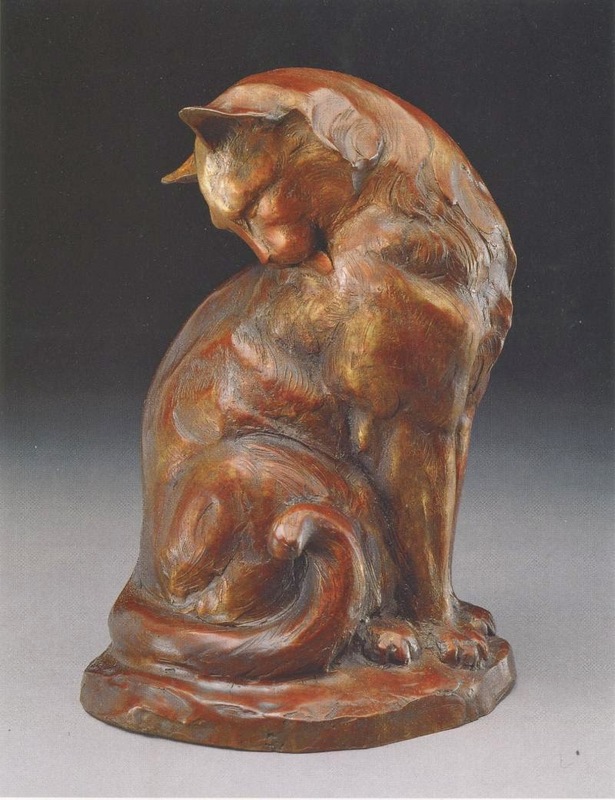 THE SOCIETY OF ANIMAL ARTISTS, INC.
Cats have been domesticated since prehistoric times and have often been the objects of superstition as well as veneration, notably, for example, by ancient Egyptians. Today, they continue to fascinate and intrigue humans, as exemplified by the musical comedy, CATS, one of the longest running shows on Broadway, and countless myths, poems and stories. Cats are carnivorous mammals of the Felidae family. Cats comprise both the domestic breeds (Abyssinian, Burmese, Siamese, Persian, etc. ), and wild breeds including the great cats (lions, tigers, leopards, cheetahs), and the smaller wild cats (lynx, bobcat, ocelot, etc.). Highly adapted for hunting and devouring their prey, cats have relatively short muzzles, large eyes, sensitive whiskers, and sharp claws and teeth. Most have long tails, and all have a flexible musculo-skeletal system. Most wild cats are solitary, though lions live in groups called prides. Male cheetahs (usually brothers) will sometimes stick together in groups called "coalitions" but cheetah families don't stick together like lion prides. Besides the common house cat, the species F. catus includes many recognized breeds maintained by selected mating. Domestic breeds have coats of various lengths and colors in a variety of patterns, making them, like their wild cousins, wonderful subjects for artists. Felines depicted in the art of these exhibiting artists include: African Serval, Bengal Tiger, Bobcat, Cheetah, Cougar, domesticated cats (including pedigreed pets such as Abyssinian and Siamese cats, as well as non-pedigreed cats, barnyard cats, feral cats), Leopard, Lion, Lynx, Ocelot, Snow Leopard, and Tiger. Produit par David J. Wagner , L.L.C. 1. reconnaître, documenter et partager le travail de grands artistes contemporains qui ont choisi de concentrer leur travail aussi bien sur des questions environnementales mondiales que locales. 2. sensibiliser un public grandissant sur les conséquences intentionnelles ou non intentionnelles de l'action humaine ou de l'inaction, par la puissance de cet art. L'art traditionnel représente généralement la nature dans toute sa gloire, souvent dans de belles conditions et en parfait état. Les 75 peintures, photographies, gravures, installations et sculptures présentées dans IMPACT ENVIRONNEMENTAL sont différentes des œuvres d'art traditionnelles parce qu'elles traitent de nombreuses questions environnementales inquiétantes allant des implications du développement des ressources et de la consommation à l'échelle industrielle , des grandes marées noires , des périls de l'énergie nucléaire, de la sécheresse et de la diminution des ressources en eau , du réchauffement climatique, à bien d’autres phénomènes modernes qui impactent les gens et autres habitants qui peuplent la planète aujourd'hui. Pour produire IMPACT ENVIRONNEMENTAL, le conservateur et commissaire d’exposition David Wagner a fait appel à un large éventail d'artistes dont le travail collectivement combiné, accomplit le Mouvement Environnemental, un mouvement qui a gagné en intensité dans le dernier quart du 20e siècle. Il a commencé avec des artistes dont il avait déjà exposé le travail ; des artistes comme le peintre canadien, Robert Bateman et des sculpteurs comme Kent Ullberg ou Leo Osborne. L'exposition présente des œuvres sur l'environnement emblématiques telles que « Requiem for Prince William Sound » (Requiem pour le Prince William Sound), l'élégie de Kent Ullberg aux victimes de la marée noire de l'Exxon Valdez en Alaska, la pire catastrophe écologique générée par l’homme de son temps. Cela inclut « Still Not Listening », une sculpture sur un poème de Osborne du même titre qui exprime la frustration continuelle et l’indignation telle que celle dirigée contre l’explosion de la plate-forme pétrolière Deepwater Horizon le 20 avril 2010 et le déversement subséquent dans le golfe du Mexique. Il comprend « Carmanah Contrasts », dans lequel Robert Bateman a exprimé sa préoccupation au sujet de la perte de forêts anciennes dans le Nord-Ouest Pacifique en comparant les forêts anciennes avec une image des coupes claires des forêts dans un nouveau style postmoderne. La première série sur l'environnement de Bateman en 1989, " Carmanah Contrasts » est né d'un effort collectif d'artistes qui se sont réunis sur l'île de Vancouver en Colombie-Britannique en 1989 pour documenter la coupe claire de la forêt Carmanah, une zone ancienne. Ils ont convenu de publier collectivement leur travail et de créer de la sensibilisation et de la résistance à travers l'art. D'autres artistes d’ IMPACT ENVIRONNEMENTAL dont David Wagner a déjà exposé le travail, notamment Mick Meilahn dont les sculptures de verre traitent de l'impact des OGM ( les organismes génétiquement modifiés), et l'artiste Israélien, Walter Ferguson Israël, et ses peintures apocalyptiques incluant une centrale nucléaire en péril dans l'exposition , et l’artiste du Michigan, Rick Pas, dont les peintures de l’oiseau énigmatique tué sur la route avaient été exposées dans le milieu des années 1980 . Note : la liste ci-dessus peut être sujette à changements, des artistes pouvant être ajoutés. Un groupe de travail de trois artistes (Zaria Forman, Lisa Lebofsky , Drew Denney ) qui en 2013 a voyagé aux Maldives - le pays qui a la plus faible altitude dans le monde et que l'on dit être le plus vulnérable à l'élévation du niveau de la mer - est prévu d’ être ajouté à l'exposition. En rejoignant une longue liste d'expositions itinérantes produites par David J. Wagner , LLC ( http://davidjwagnerllc.com/exhibitions.html ) , IMPACT ENVIRONNEMENTAL pourrait bien être la plus puissante selon son conservateur et directeur de tournée , David J. Wagner , dont le classique « American Wildlife Art » ( http://american-wildlife-art.com ) , sert de livre de référence sur le sujet . Des LIEUX supplémentaires peuvent être ajoutés.